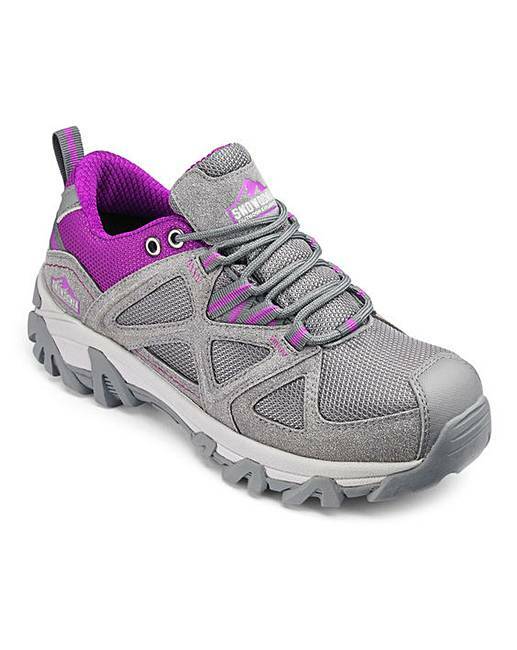 Snowdonia Ladies Trainers E Fit is rated 5.0 out of 5 by 4. 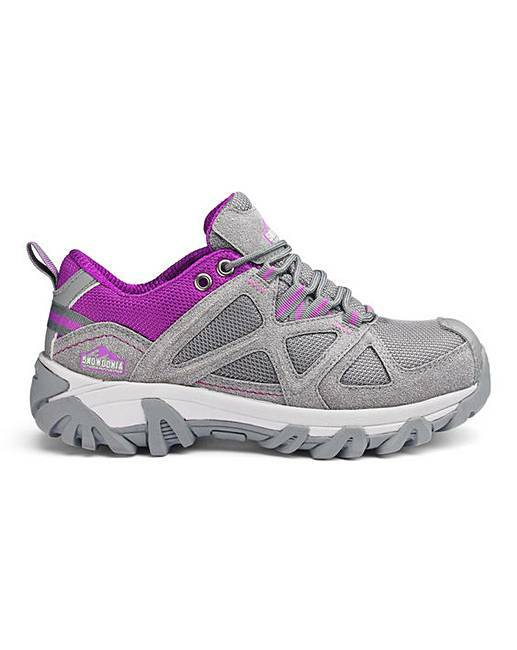 These water-resistant Snowdonia walking shoes are perfect for hiking outdoors and trails, with their sturdy upper and special leather panelling. 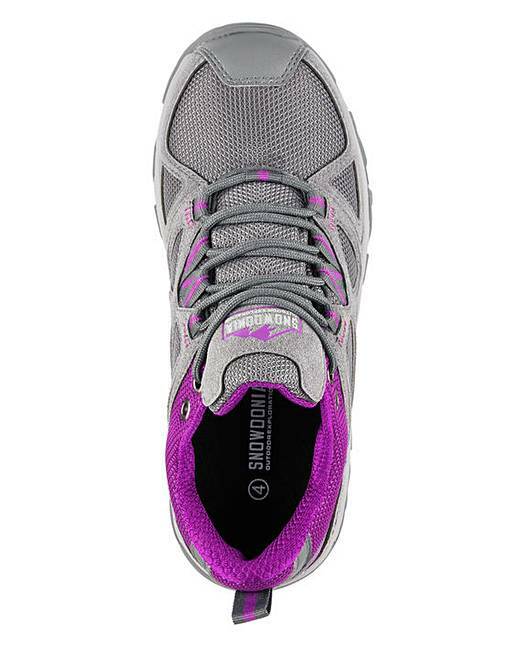 Available in E and EEE Fit for comfort on outdoor activities. Rated 5 out of 5 by Maggie from Great look. Very comfortable and nice looking. Very pleased with them. Rated 5 out of 5 by SilverFoxx NW from Comfortable daily footwear I purchased this item around a month ago. Hardly a day goes by that I don't wear this pair at some point that day. They are comfortable, hard-wearing and a good quality 'buy'. Bought 2 different sizes for 'fit' but was able to purchase my normal size - 6. 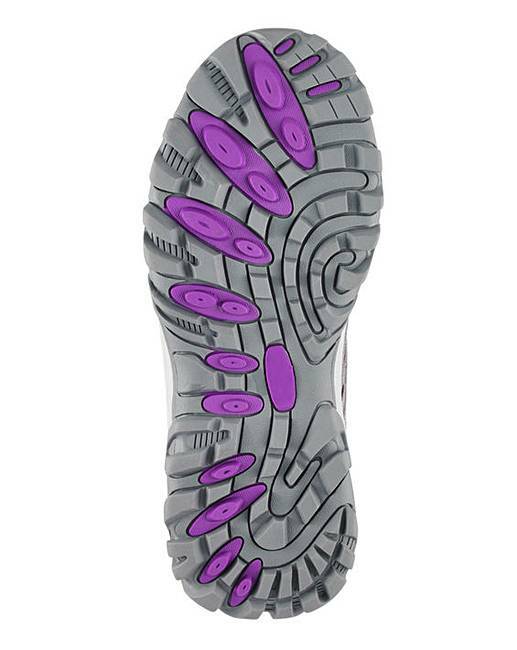 Rated 5 out of 5 by Dawn from Extremely comfortable I bought these as I’ve recently taking up Nordic walking, these are perfect for walking in and extremely comfortable, I’m really glad I bought them.